We are happy to introduce the Averie Brow Pencil! What makes Averie so special? Pretty much everything! As mother Valerie describes it, 11-year-old Averie has overcome unbelievable odds from the very beginning. Valerie went to the hospital, set to give birth and return home with a healthy baby girl. Averie, with a feeding machine and a nasal cannula, finally got to go home the day before Christmas. From that moment on, mom and daughter faced a new journey and have taken on the obstacles together. 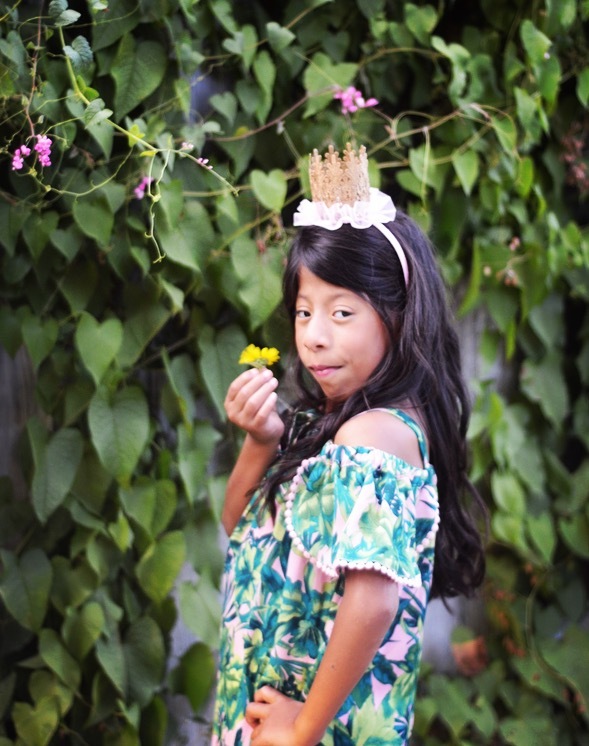 “Averie was diagnosed with hypothyroidism and growth hormone deficiency at 2-years old. Since then, she receives subcutaneous injections five times a week to help her growth hormones. She has had over 20 surgeries, too many to count. She has a handful of doctors who have helped her become the strong, beautiful girl she is today. Two years ago, she was also diagnosed with an immune disorder called hypogammaglobulinemia. She receives subcutaneous IV therapy for an hour every two weeks,” Valerie explained. Averie always stays strong and remembers how special she is. “One would look at the way Averie faces this world with so much love and joy, and they would never imagine what she has endured and overcome in her 11 years. She is so optimistic. She gives her absolute all to everything she does. She has a heart of gold with so much creativity and love for fashion. She recently got hearing aids, and instead of complaining or whining, she was more interested in dazzling them up!” Valerie told us. We’re dazzled by Averie! Her heart and strength in taking on the world make her a great role model to other girls going through similar challenges and health problems. “At this age, things can be complicated and hard to comprehend, but Averie has taken it all and faced it with great courage, determination, and above all, love,” said Valerie. Averie is definitely a very special little girl, and she’s being raised by a very special mama. Thank you for sharing your daughter’s story, Valerie!